Government has extended the ring-fenced suspension of duty on the outstanding quota of luxury buses by a year after the operators failed to utilise the facility due foreign currency challenges. The Government ring-fenced importation of 25 luxury buses at a reduced rate of five percent for a period of 12 months beginning in January 2018 in an effort to improve the condition of cross border luxury buses . 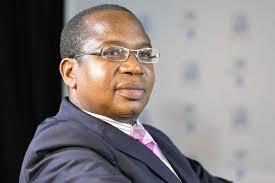 Finance and Economic Development Minister Professor Mthuli Ncube said in the recent Budget Statement that bus operators have not been able to utilise the facility due to foreign currency challenges. “I, therefore, propose to extend the ring-fenced suspension of duty on the outstanding quota of luxury buses by a further one year,” he said. Minister Ncube said tour operator services were an important element of the tourism industry which guaranteed that tourists were transported safely and comfortably.